There are several standards and guidelines while offering SEO services and optimizing websites that promote the ranking facets. Major search engines have differing pack of standards and rules for scoring websites in top position. Any website that has listed top in Google search engine may not list top in Yahoo or Bing search engines. Our SEO team aims to focus on these differing standards and guidelines set by various search engines and creates websites that stand in the norms of these influencing web traffic and overall rating. At, Singapore SEO Company, our web professionals strive hard to attain top ranking in different search engines. Our team researches on various methods and strategies prevailing in the field, so as to create plans and guidelines that motivate in creating websites and contents appealing to the standards and rules of big heads like Google, Yahoo and Bing. This in turn lends hands to go for the top priorities and maintain the top ranking position. 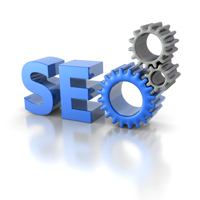 SEO services rendered by our company go continuing and continuous in progress. It is important to help users with brief and impressive information in the homepage with the structured link. Neat and precise codes and images are provided and the content given must be organized and traffic targeted. Keywords used must be influential and descriptive without stuffing. Our company has explored the guidelines and confines to write content based on user perspective. The links and navigation provided are evident and obvious and offers accessibility throughout the entire site. Personal information along with the questionnaire pages are showed up that induces the users to recommend and blog these websites, resulting in productive online market growth. Our SEO Company promises the website owners and clients to gain fruitful and generative outcome in the form of top ranking and elevated product sales.